Trillium Lake just over an hour from my house! Anyone who lives in Portland, Oregon like I do, has difficult decisions with free time. Go west 75 mins to the coast? Go north to Mt. St. Helens or the Gifford Pinchot National Forest? Head to the Columbia Gorge? South to Wine Country? Or due east to the playground that is the Mount Hood National Forest. Over the past couple of weeks the weather has been great, so I spent some time up by Mt. Hood. I spent a day relaxing at the shore at Timothy Lake, and not long after, met my friend Laura up there and spent an evening under the stars. Each time, the weather was spectacular. And early season, before school gets out, these lakes shine and seem like Olde Tyme camping. That’s because they are super warm, nobody’s around, and it’s super off season. And added bonus: You will have spring flowers at your campsite! Rhododendron and Trillium are in full bloom. And the there is still snow on the peaks. The flowers, the blue lakes, the green forest and the snow on the mountains make for a feast for the eyes! On the day visit, I needed some “me time” and simply packed a lunch, some stuff to read, and most of my camp stoves to tune up for the camping season. I forgot the old Coleman Dual Fuel 533. Dorking out with the stoves. Some need annual lubrication for the pumps. On the “day visit,” campgrounds were maybe 25% full. It was so quiet I only encountered one wife with kids on the shore. Oh. Well, wait a minute! I encountered a whole family! Just not human. The geese have a plan of action. Adults have a guard who keeps up a vigil whilst the kids and other adults can clean and preen. There is a rear guard too. I found the longer I just sat, the trust built and they came up almost to my toes. No worries! Okay, so then the following Monday I resolved to go up and spend the night. It would be my “birthday eve.” Laura, who was in Bend, Oregon, offered to meet me up there and celebrate. It was another perfect day! Lots of gear. I had a fillet of wild caught Sockeye Salmon! The evening was pretty chilly but in my sleeping bag, with pillows, and a ski hat and the all-important eye shades for the Pacific NW 4:45 a.m. sunrise, I was set. No tent fly needed, the stars are far more important! The sky was absolutely bright with the Milky Way on full display. Venus was on hand for my birthday eve sunset. Not the sharpest focus but I hope you get the idea! Laura captures an image of the sunset. For Timothy Lake, my suggestion is its best times are before school gets out in the early summer, or after Labor Day. In high season summer, it’s best mid week. However, there are plenty of kayak-in or hike-in spots on the opposite side of the lake. There is opportunity for quiet camping over there! Class Reunion! Mount Hood Meadows Powder Skiing with a College friend! 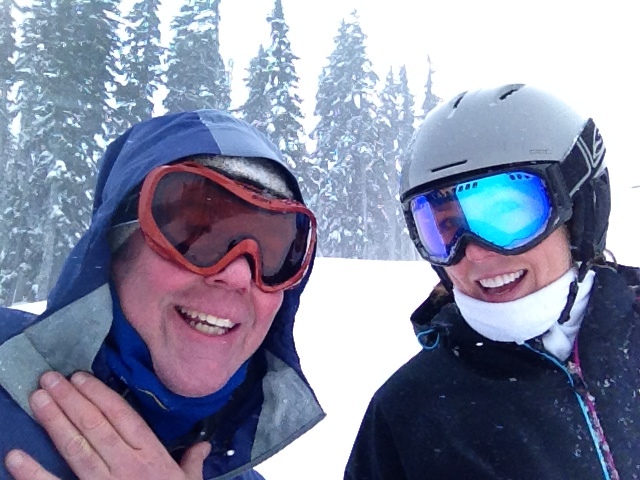 During the recent 80″ powder snow dump on Mount Hood, Oregon, I met with Katy Brown, a college friend I’d not seen in 30 years, and we had an epic day at Mount Hood Meadows! 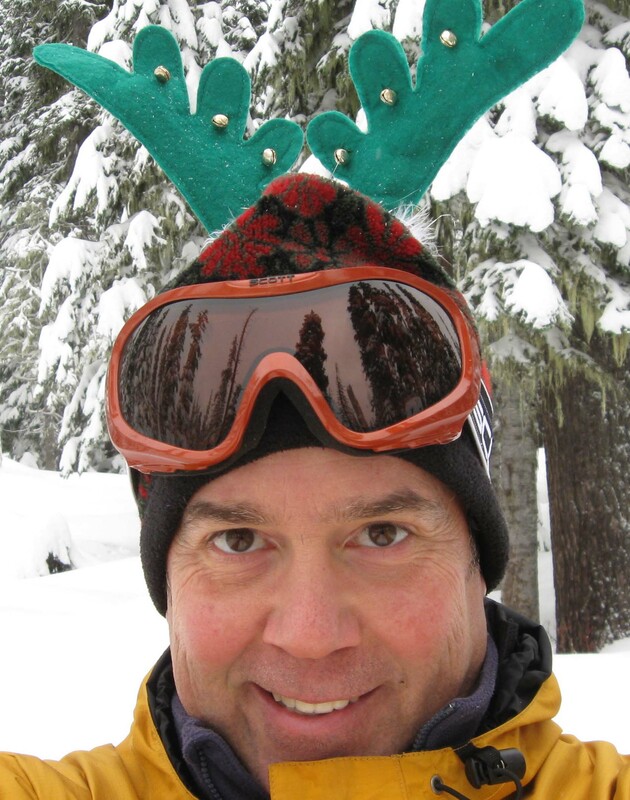 Back in early February 2014, my good friend from college, Katy Brown, sent word she’d be coming to the Portland, Oregon area checking out colleges for her son, and they’d be staying in Government Camp on Mount Hood to ski for a few days. Wow! I had not seen Katy in 30 years, although we’d kept up via Facebook. This could be great if we could do a reunion on the ski slopes! This was the easy part. Later on, it was a complete whiteout. Road=sky=side of road. What would happen was beyond our dreams – almost too much! Let’s just say it made for memories! 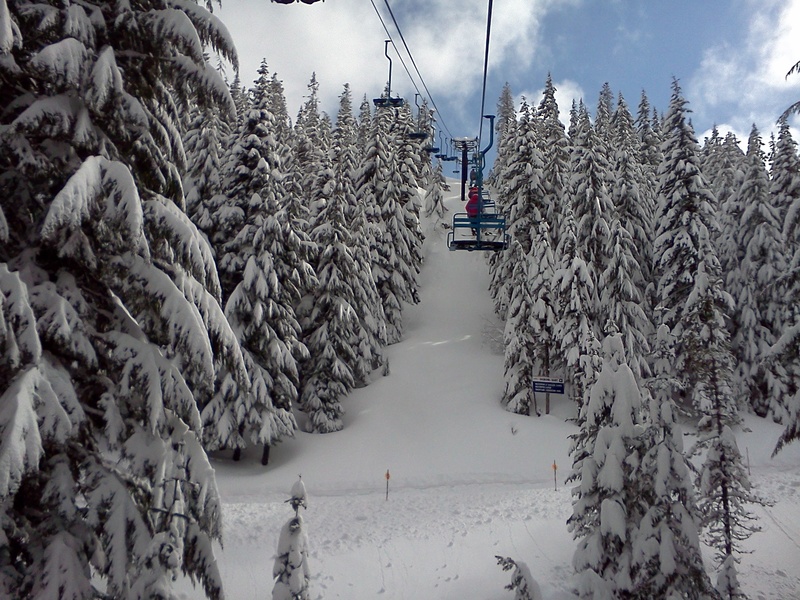 We made plans to meet February 20th at Mount Hood Meadows for a day on the slopes. Little did we know that a giant storm would blow in, dumping 80″ of dry powder plus some significant wind, making for insane conditions, not only challenging driving! 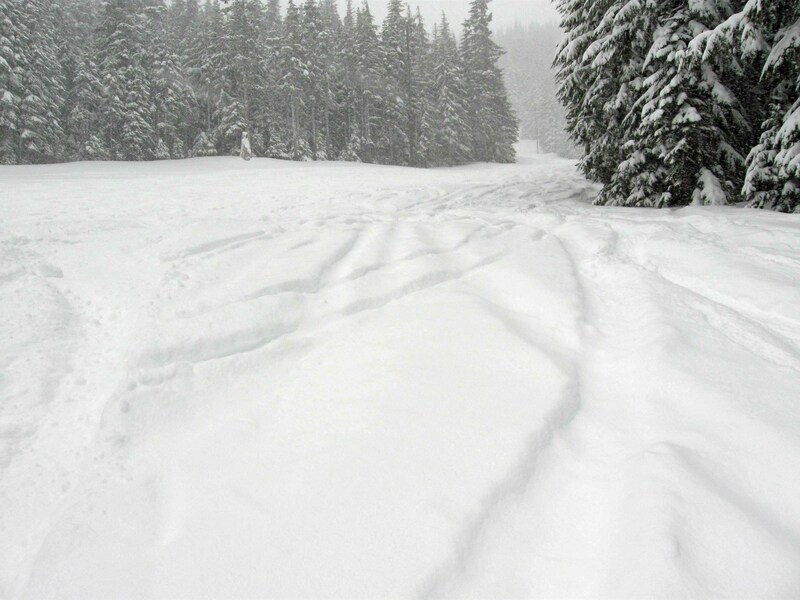 As February 19th approached, the snow piled up and Katy sent word from Government Camp, where they stayed, that the snow is “out of control up here!” Winds of over 40mph were reported at Mount Hood Meadows. She lives in Boston. She marveled at the giant snow blowing machines we use to clear the highways! No matter what, I was going up there to meet Katy after 30 years! I have a 2013 Ford Escape with Michelin Ice-X studless snow tires, and I was confident I’d make it no problem. The morning of February 20th I headed up, but I made sure I brought my snow shovel and ice melter with me. Up on Mount Hood, on highway 35, there were super heavy duty snow clearing machines on the road, slowing the traffic to 5mph. It was so slow that a bus following a road grader lost traction and became stuck in a snow bank. Myself and maybe 8 other vehicles got round it, but the next two miles were crazy. With 40mph winds and snow blowing, it became hard to tell where the road was and the snow bank was. I passed 5 or 6 cars stuck before I finally got to the ski area. Success! I got to Mount Hood Meadows. But it was like Antarctica in the parking lot. Opening the car door let loose a maelstrom of violence! 4x4s were spinning their wheels. The cargo box on my roof was frozen, and I had to use de-icer to unfreeze the lock to get at my equipment. I was the lucky one. Katy was behind, and got stuck in the mess behind the bus/road grader. But they eventually made it! Yay! We recognized each other right away. After getting comfy in our ski outfits and Katy’s rental gear we headed out. It was crazy snowing and blowing! 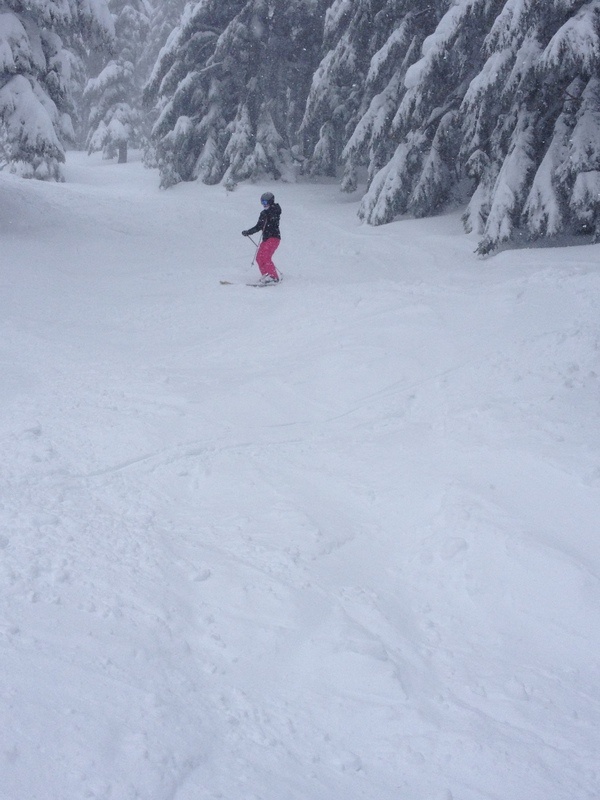 It was blowing over 50mph on the upper slopes at Mount Hood Meadows so I took Katy over to Hood River Meadows, a lower elevation area, and we were rewarded with a mile of uncrowded, powdery runs! Katy negotiates a secret stash spot! Since I am intimately familiar with the ski area, I encouraged Katy to get into some tree skiing in areas I knew she could handle and she loved it! So all afternoon, we had a treat in store for Katy. 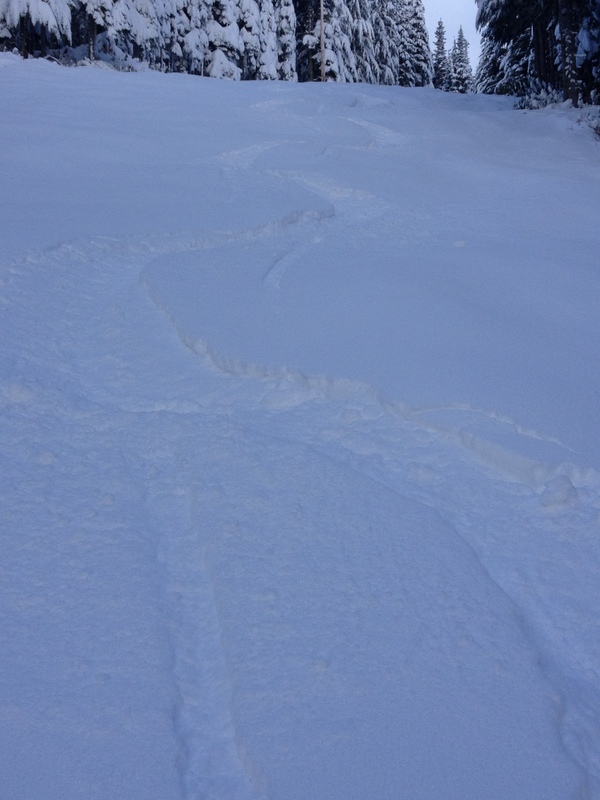 Run after run of un-tracked powder. What a day. Katy’s son Will was out there, too, and he said it was the best riding he has ever done in his life! For me, living in Portland, it sure was good. But we get these storms several times a year. I think I’m taking them for granted! We gathered back at Government Camp a their rented condominium, at The Grand Lodges. Very nice place! I hope Katy’s son Will goes to school around here. That way I get to visit Katy every winter! 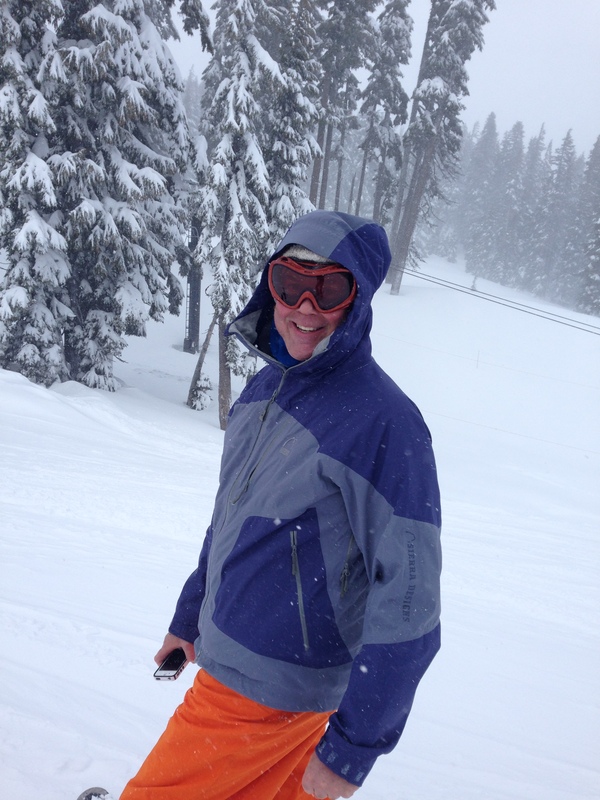 Fluffy Powder Skiing at Mount Hood Ski Bowl Oregon! Recently, a cold storm blew through the Mt. 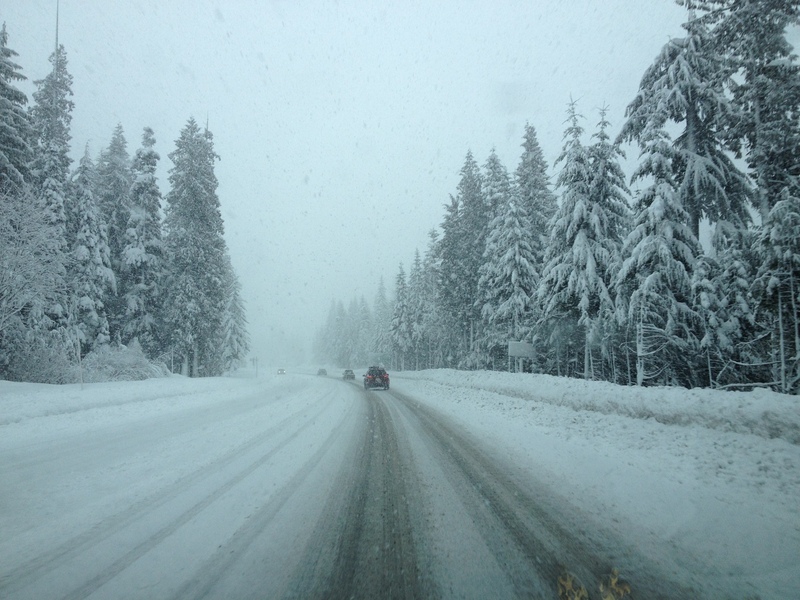 Hood Oregon region, dumping 80″ of powder in three days. We don’t usually receive Colorado-dry powder – it happens once or twice each winter. This 2013 – 2014 season has been particularly cruel. A warm, dry December and January left Mount Hood Ski Bowl closed, and Mount Hood Meadows only partially open. Then a blockbuster storm moved in, with non stop snow for days on end. Mount Hood Ski Bowl is known amongst ski aficionados as having the best terrain on Mount Hood, but unfortunately it lies at a lower elevation, meaning snow conditions are generally not as good as at higher elevation Timberline or Mount Hood Meadows. I was able to hit Mount Hood Ski Bowl on opening on one of these days. It was so pretty. When I arrived in the base area, there was plenty of snow. Fill in your tracks snow. I was able to get the first chair up that day. I think it may be the first time in my life I was the first person at a ski area. It was worth it! Run after run of untracked snow all to myself! On this day, it was perfect for anyone wanting to ski powder snow for the first time. 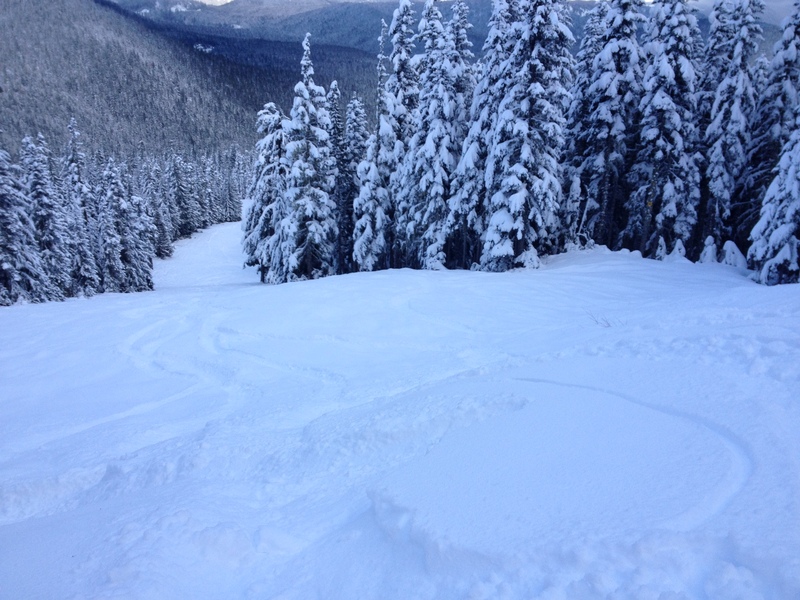 The Mount Hood Ski Bowl staff had groomed everything to perfection for powder ski students! So, you are nervous about the steep and deep? Well, they had everything for you. They had a cat track groomed. They had runs groomed with 4″ new on top. They had groomed runs with 8″ new on top. 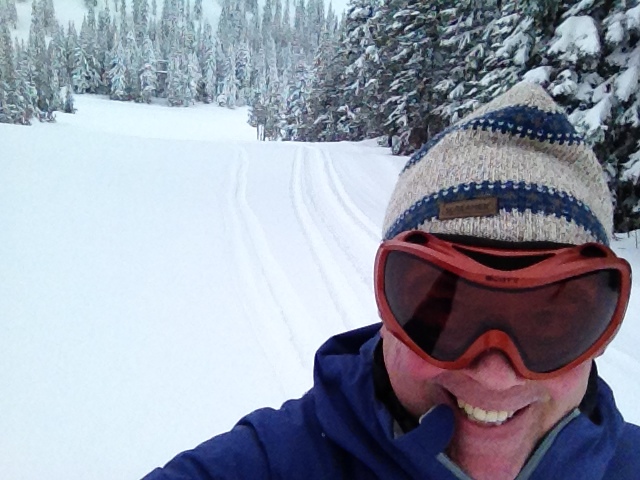 And there were other runs with 14″ untracked, fluffy snow! This is not Cascade Concrete. We are talking about the kind of snow that if you pick a handful up, you can blow it right off your palm. So, you ask, how does one ski in the deep? Let’s say you are proficient on packed snow. There, you put more pressure on your downhill ski when turning. And you pick up momentum even when traversing. In powder, if you ski with uneven balance, one ski will dive to the bottom and the other stay on top! And if you traverse too much you will slow down and can’t turn. New powder skiers can be seen frustrated, in the snow, goggles all fogged up. But the reality is that powder skiing is actually easier than hard packed snow skiing! But you need to understand how to do it. So, think about it. 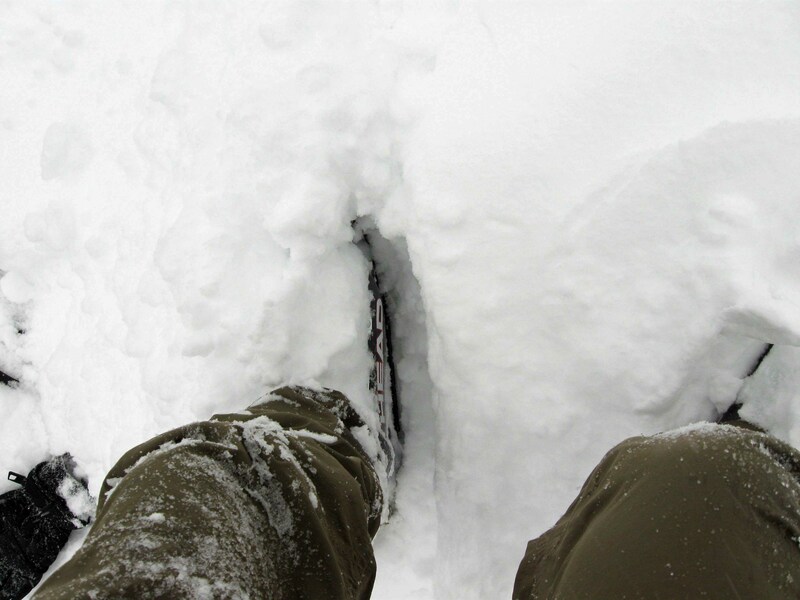 If the snow is deeper than your boot tops, it’s going to slow you down, right? Well, the slower you go, the harder it is to turn. So you have to do something to counteract this. My suggestion is point your skis straight down the slope to get momentum. Secondly, you don’t want one ski to submarine while the other is on top. So now you have to try skiing with both skis relatively evenly balanced, kind of like a platform to “surf” the deep snow. You do not need to lean back. How to turn? This is the secret. Have you seen porpoises in the ocean? Notice how they surface and turn on the surface? That is what you want to do! Think of the deep snow as a spring. When you go across the snow, you are on the surface, and when you slow down you sink. You turn your skis when you are on the surface, and traverse when they are deeper. So, this is how you ski deep powder. Point your skis down hill. As you gain momentum, tip your feet up. When your skis are on the top of the snow, turn left! Then you will sink. You will cross the slope again, rise, and when you are on the surface, turn again, right! And sink. And so forth. This is called porpoising. Once you learn how to use the deep snow to slow your momentum, and turn on the surface, you will be golden! And you can leave tracks like these! Have fun, and remember, it takes a few times to get it right. But you will succeed! You will get it! Believe me, power, deep snow, is easier than hard pack! In early May I had a couple of days off and the weather forecast called for a couple of really nice days! Having extreme cabin fever brought on by months in the Portland, Oregon gray skies, I pulled the camping gear out and headed for north central Oregon! In spring, even in May, most Cascade camping is snow bound. So if you want to car camp, you have to look elsewhere. North Central Oregon has the Deschutes and John Day Rivers. The John Day begins way east and it’s a snow melt-fed flow. It courses through sleepy valleys and ranches before wending its way into the canyons and fossil beds of the John Day Fossil Beds National Monument. There are sections where the road passes right by the river – truly beautiful, especially in spring, when the valleys are still green, and the mountains are so brown you’d swear you were in the southwest. All along highway 19 you view wind turbines. 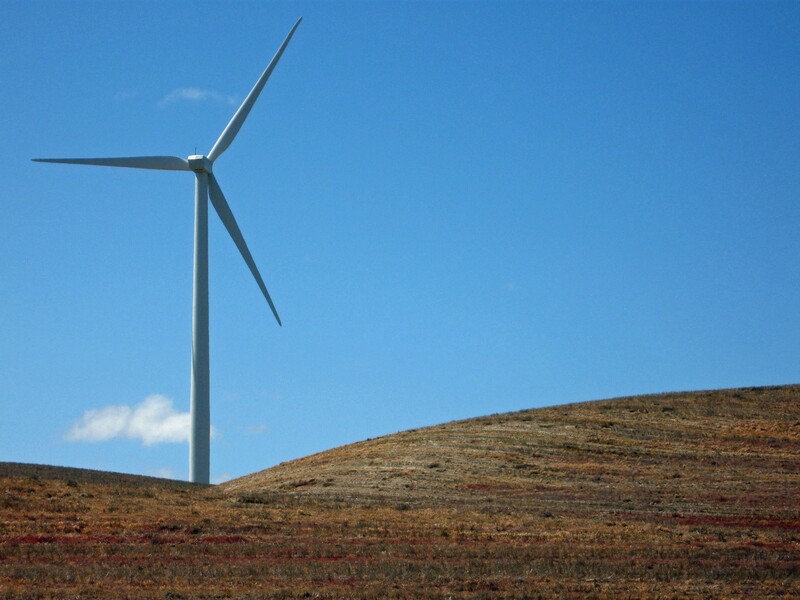 The turbines stretch out in every direction. It’s an area prone to constant wind, so this comes as no surprise. It is comforting to me to know that sizable efforts are underway to tap clean sources for electricity! There aren’t many people out there. It’s wide spaces of farms with not much in between. Instead of flat farmland like Kansas, it’s as if that same land has been upheaved everywhere. In the distance you can glimpse snowy cascade volcanoes Mount Rainier, Mount Hood, and Mount Adams. The first town you pass through is Condon. I’d never heard of Condon, but its lonely place in this part of Oregon is palpable. 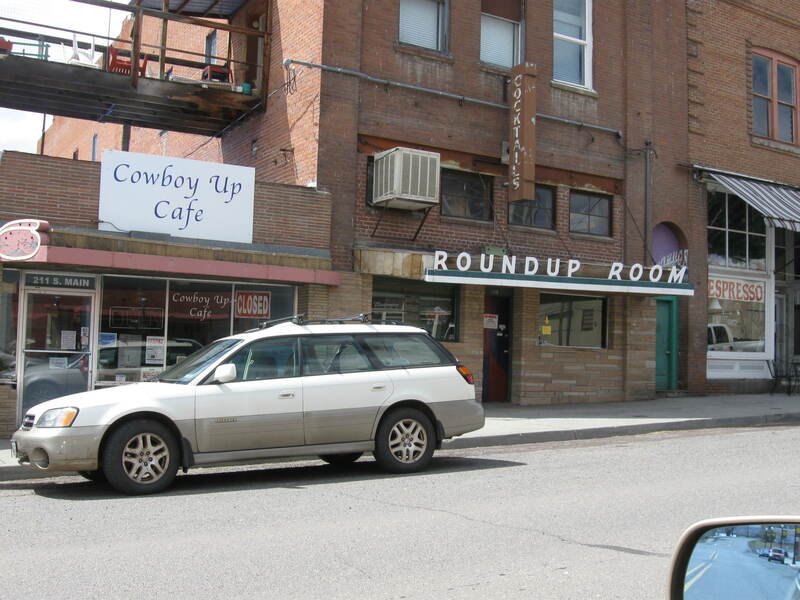 Its downtown has a cowboy feel, but also a feeling as its best years are behind, and that it is falling further into decay. Somehow I found this appealing. 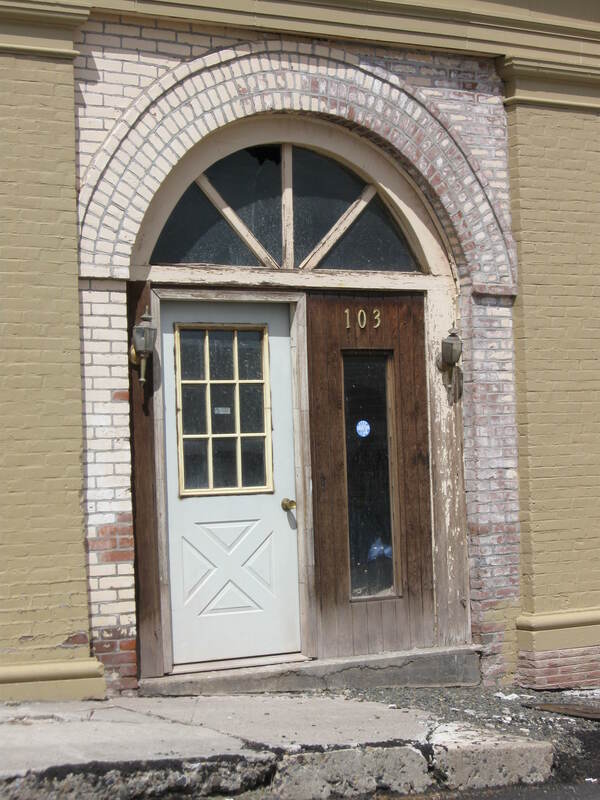 There were architecturally significant buildings – crafted in the days when a human hand’s touch added character. But many were in disrepair. Still, I found this refreshing. I’ve spend some time in Sisters and Joseph, and once in Condon, those places seem so fake – very gentrified. There, outsiders moved in and upgraded everything. 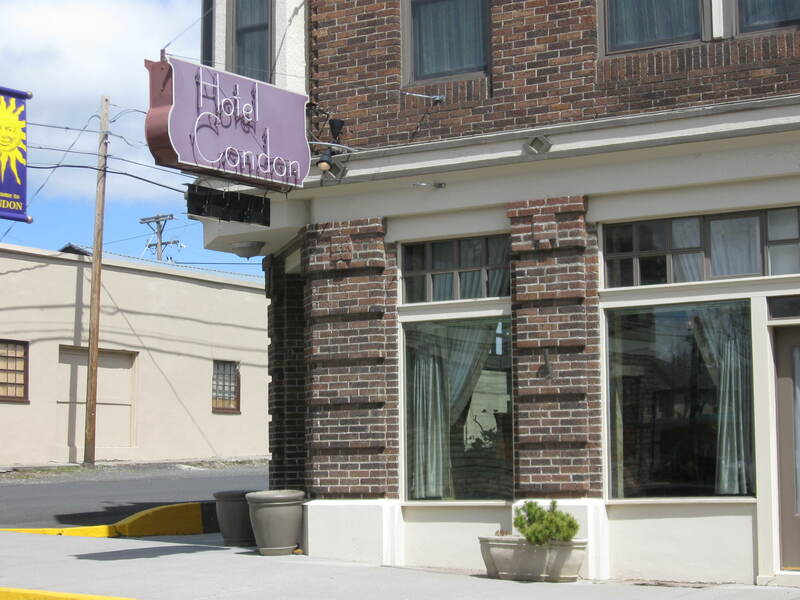 Where as Condon is nakedly left alone, as it was, the bare bones of its old West Heritage laid bare. In some ways it is sad, in others, attractive. 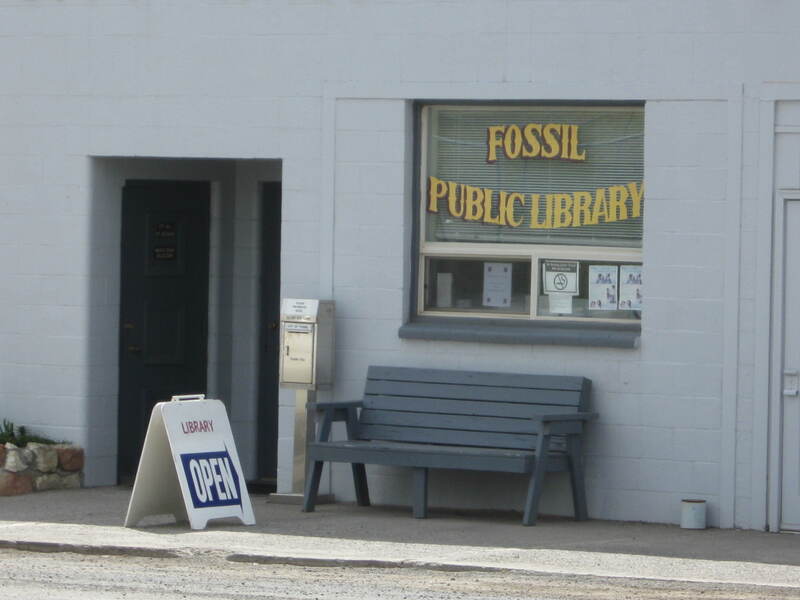 The next town I came across was Fossil. 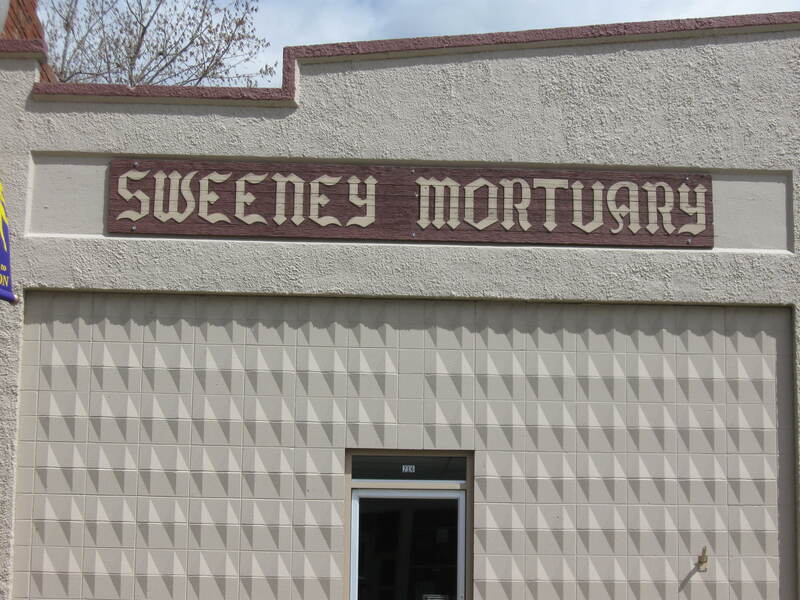 Fossil, Oregon, is another sleepy town quietly nestled in the hills of the John Day region. There, I witnessed cowboys passing the time with downturned hats on the porch of one of the general stores. In Fossil, I realized I was nearing the John Day River. 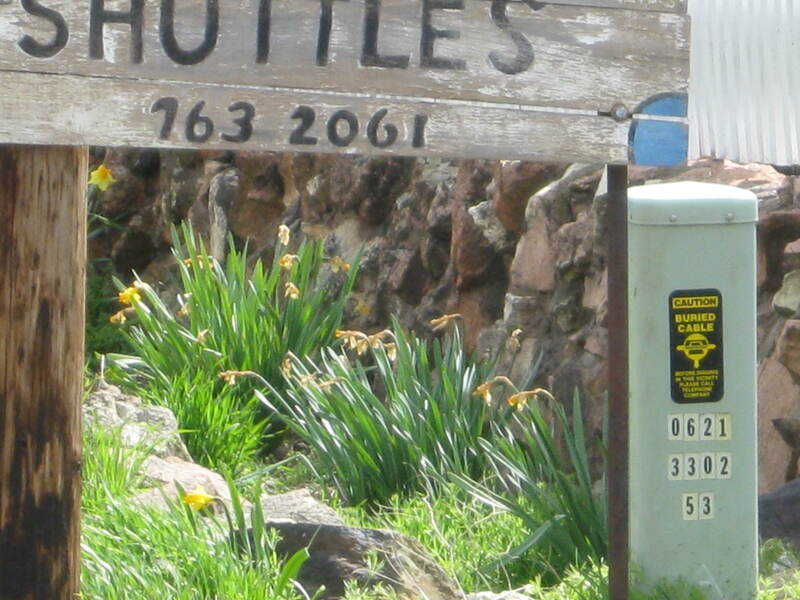 I saw postings advertising services for river running like shuttle services! You are now in river running country! 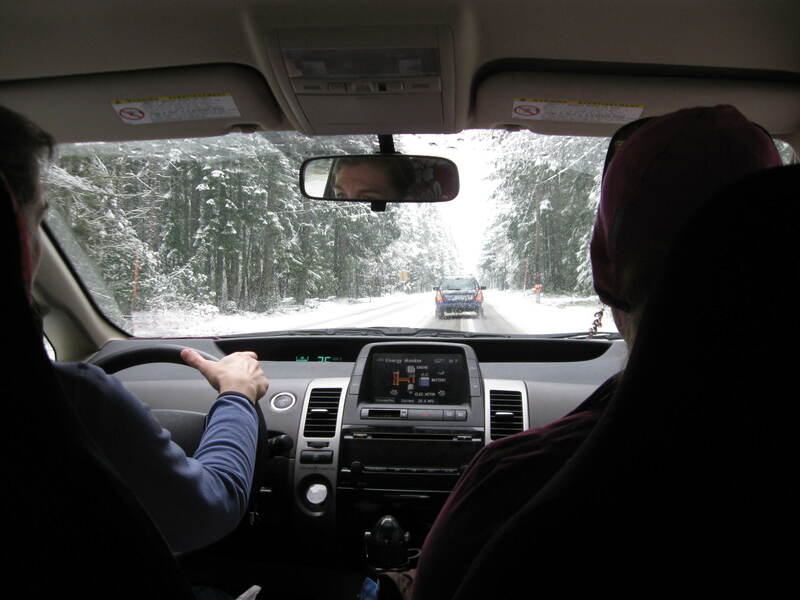 Some late spring snow – and LOTS of it – fell on Mount Hood in early April 2011. 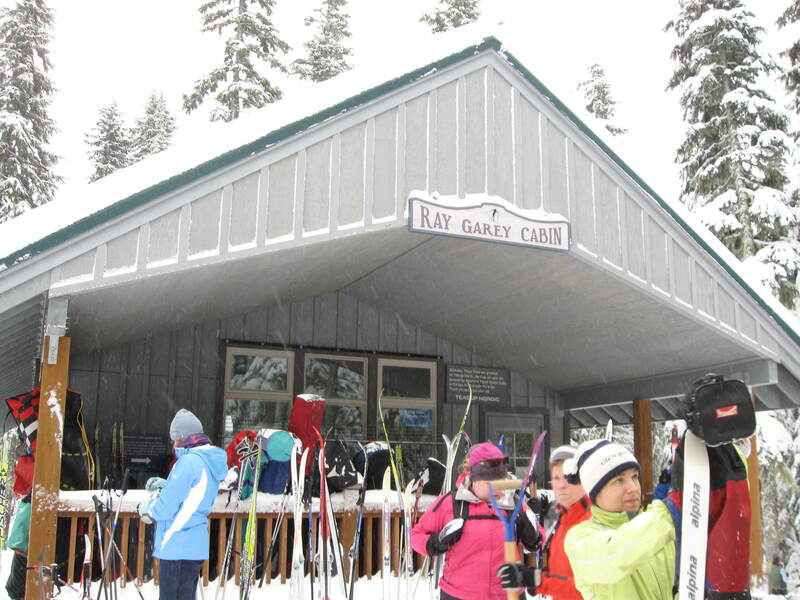 Mount Hood Ski Bowl opened unscheduled on Thursday at 3 p.m. for “night” skiing – well, at that hour in April it was blue bird sunny! Wow! Pictures are really worth 1,000 words. 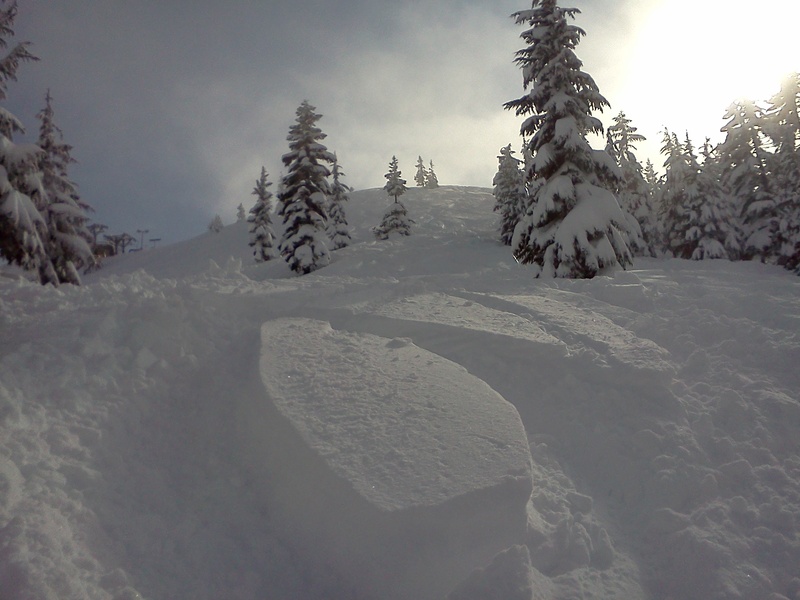 Sun, Snow and the Best of Fluff in Oregon’s Cascades! A weather system out of the Pacific has converted a drought stricken snowpack in Oregon’s Cascades into dry fluff! Depending on elevation, up to two feet fell in the past two days of desperately needed white stuff! Here’s a nice video of the dumping in action on Wednesday! I took a gamble Wednesday and headed up to Ski Bowl and found a paradise for skiers! On the trails, snow up to the top of my boots. Off trail calf high. Run after run of untracked powder could be had for anybody game enough to ignore the weather forecast and head up. Roads were no problem because the snow plows did such a great job. Up to the boot tops! 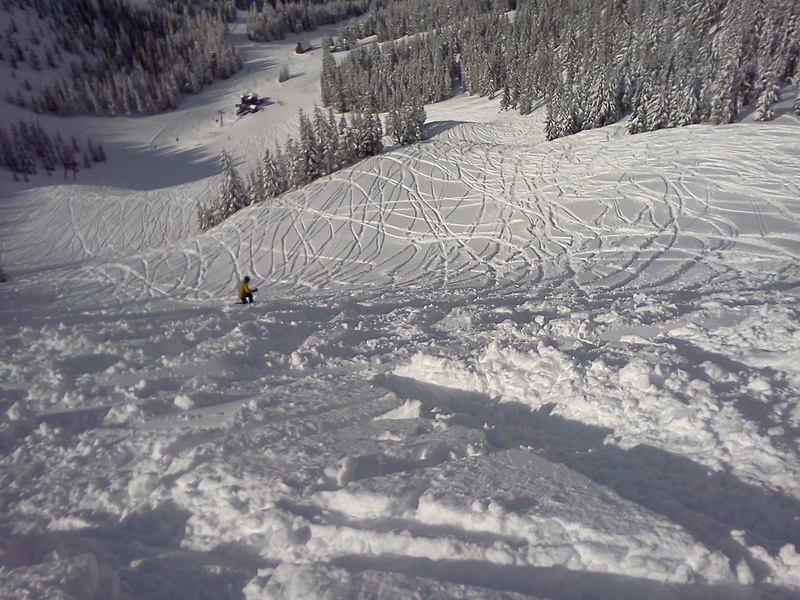 If you have ever dreamed of skiing untracked powder run after run, Wednesday was such a day! I arrived late, about 1:30, and was in absolute DISBELIEF that runs, not backcountry, had NO TRACKS! OMG! In fact people were hiking to ski freshies and there was no reason, freshies could be had on some of the front side trails in the Upper Bowl! As late as 4:00 p.m. I found lots of fresh, untracked snow on the front side of Upper Bowl! My ski buddy Alex said he would try to get time off to come up Thursday and today he was able to get out early and we arrived at Ski Bowl about 9:30 a.m. to the lightest, featherlight snow the Cascades offer! Though there were more people on the trails Thursday, the snow was so marvelous it didn’t matter. Plus the sun peeked out several times, making the entire day complete. Another bonus both Wednesday and Thursday was that wind was NOT a factor! WOW. Just perfect, run after run of feather light snow! When the sun poked out of the sky on Thursday it showed in stark relief how beautiful Planet Earth’s wonders are! HOLY COW the entire Cascade Range stood out in clear, pure, fantastic focus from far to near. All on a day when the weathermen predicted all kinds of trouble! So, without further adieu, here is Alex making his way down Canyon! I have experienced many day like this in my skiing career. But not always in the Cascades. So one of my goals has been to show Alex how amazing skiing can be when Mother Nature bestows her magic! Got to get this one in before the clock ticks over to 2011! 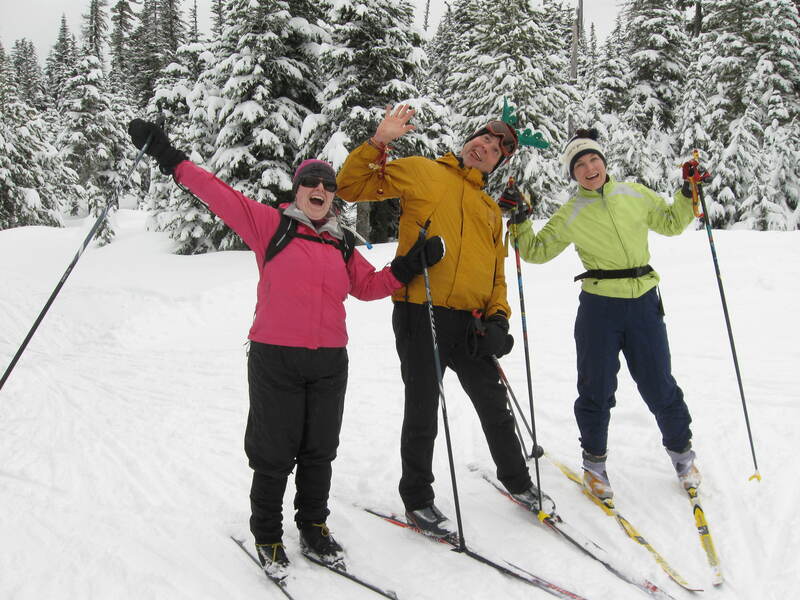 Two weeks ago went on a purrrrrfect Nordic ski day with my buddy Jessie Bader and her friend Nancy Zink. We went to the groomed trails of the Teacup Nordic Club. It had snowed, snowed, snowed and there was zero wind, so the woods were absolutely GORGEOUS, to die for! Oh, the cathedral of snowy trees! Nancy offered to drive up, she’s got a hybrid Toyota Prius, and since she and Jessie are only like 5’5″ tall each, I had plenty of room in the back! As we ascended the mountain, the forest was all fresh snow! It was going to be a really good day! I am an intermediate XC skier and Nancy is a skate skier. 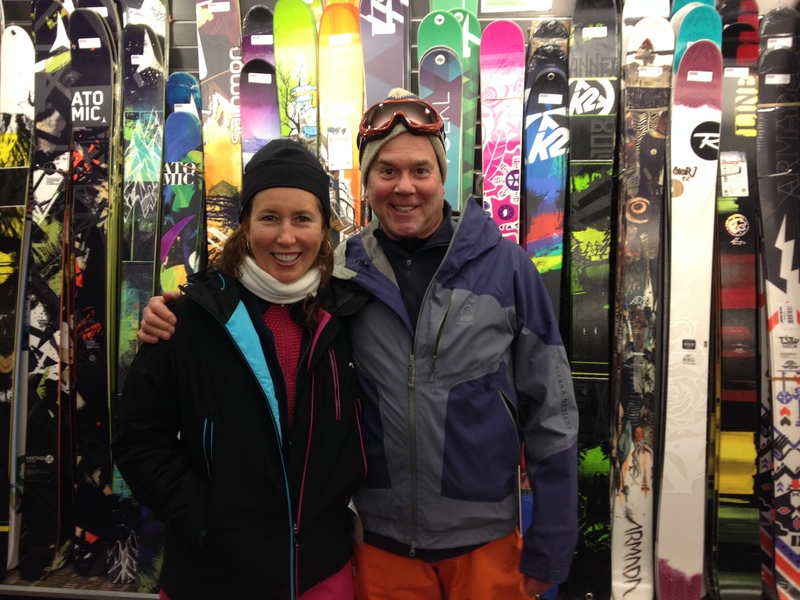 Jessie is a newbie…very careful on her new skis! On arrival we went to the Teacup Lodge to get situated. It was real busy at the lodge, both inside and out! 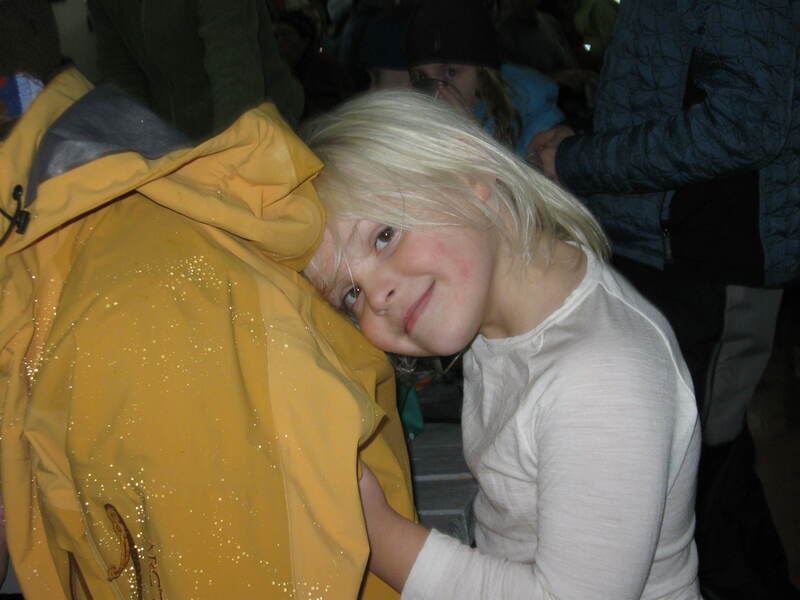 I found one girl who was very interested in Mommy’s fancy parka! OK, we had some lunch and then, it was time to hit the trail! It wasn’t long before I just had to shoot a photo of my reindeer antlers. Got to ham it up! Every time we got to a little decline, Jessie got nervous. We all encouraged her to just ride the track down, but each time she “over thought things” and fell backward. Next time she’ll get it I’m sure. Otherwise, the snow was perfect and the holiday mood was truly bright! So MERRY CHRISTMAS and HAPPY NEW YEAR everyone! And best to everybody in 2011!